I’m not quite sure about the color choices, but it does feel very 1980’s. I’m not sure if this is pro or anti the president, but is presented here out of parity given this post and this post. If it is in the pro-Trump category, it is the only one I’ve ever found and certainly a rarity. If you look closely, you can see it’s been defaced by those offended by it. One could argue that the piece is itself, a giant statement of sarcastic intent on the Trump administration’s environmental policies (giant bucolic oil drops flying over a forest?). On the other hand, I also wonder if the stenciled type, like the hand written text, was added after the fact by a different artist. The leading alone would certainly suggest a lack of artistic precision not evident in the rest of the piece. Regardless, be sure to vote. Wild style lettering with arrows and tech highlights. Part of a larger mural. Great color and the thin highlight pops really well. Part of a larger mural. 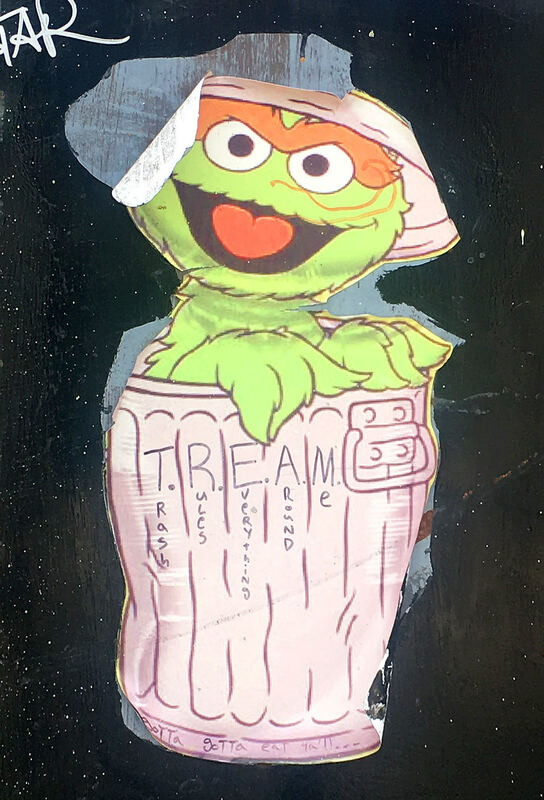 A custom illustrated paste up of Oscar the Grouch. With the text, “Trash Rules Everything Around Me” and “Gotta Gotta eat ya’ll” along the bottom. There’s been a lot of “queens” in the media these days, so I thought I’d add another. 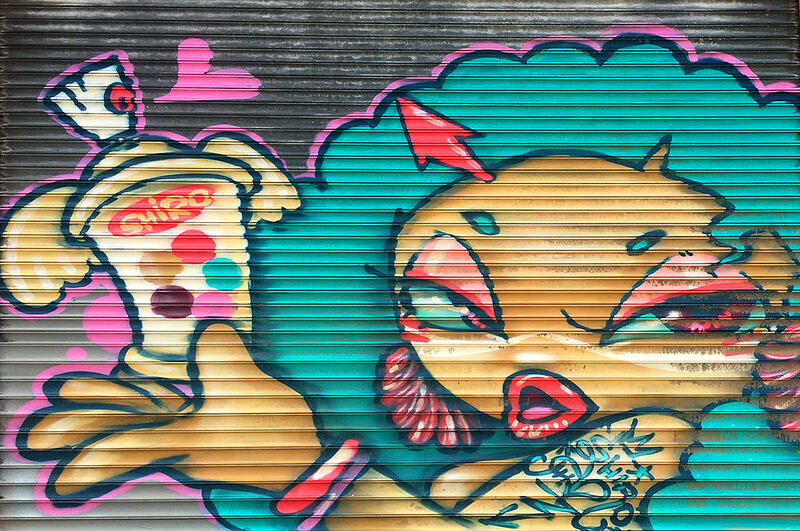 Part of a larger mural.